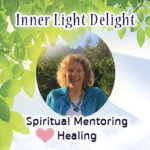 This group is about making new friends who want to grow together, meditate together and share our self inquiry at the deepest level… taking responsibility for our own feelings, blaming no one. We’ll laugh and play energy games, expand our intuition and chat with our Guides. I’ll channel for the group, bring through healing energy and teach a few healing techniques here and there. Our first meeting in November 2018 was a great success. No one wanted to go home so we hung out for an extra 45 minutes just enjoying each others’ company… we really were a “Social Club”. There were many comments that people loved the class and loved the group of women in it. One person told me she got way more out of it than she had ever imagined. Another commented that she hadn’t realized how much she had needed it. We started the evening with a short meditation and explored how to be with others in daily life in a more authentic way. This is a great passion of mine. No matter how much better I get at being authentic, rather than reactive or driven by ego, I look forward to being even more real next time and I delight in my progress. We discussed various spiritual dynamics that run our lives. There are so many ideas that get tossed around in the spiritual community that people give lip service to. I’m always wanting to bring these ideas into our lives in a practical way so we can not just know about them but live them. What if you had to remember to breathe? It wouldn’t happen very often! Well I want us to live the spiritual principles as naturally as we breathe. At some point the conversation turned to those who have passed over and we had fun sharing some amazing stories. In the last half hour we practiced a heart mind coherence meditation and then held those who lost their homes in the Santa Rosa fires, as well as those who lost their lives, in a state of loving peace, calm and ease with whatever comes next. The powerful December meeting started with a channeled meditation that brought everyone more deeply into themselves and self discovery. I tried not to use those buzzwords but I don’t know how else to say it. At the end of each class we meditate to send good juju out into the world to help ease her birthing pains as we are birthed forth collectively to the next level. Those new as well as those experienced with meditation all drop in deeply with our guided visualizations. If this sounds like a delightful way to spend a cool winter evening in warm company, you are invited to join us. We still have a few spaces as it turned out the cozy room can hold a few more people. Registration required due to the limited space. I hope you can make it and see if you want to be a part of it.